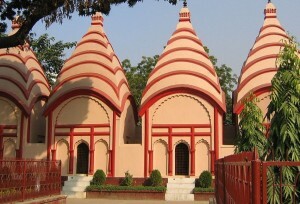 Dhakeswari Temple, the oldest temple in Dhaka city. Here is a small metal made idol of Hindu Goddess “Durga” is worshiped by the local Hindu community. The ancient temple was ruined in 1971 during war but now the temple has reconstructed. 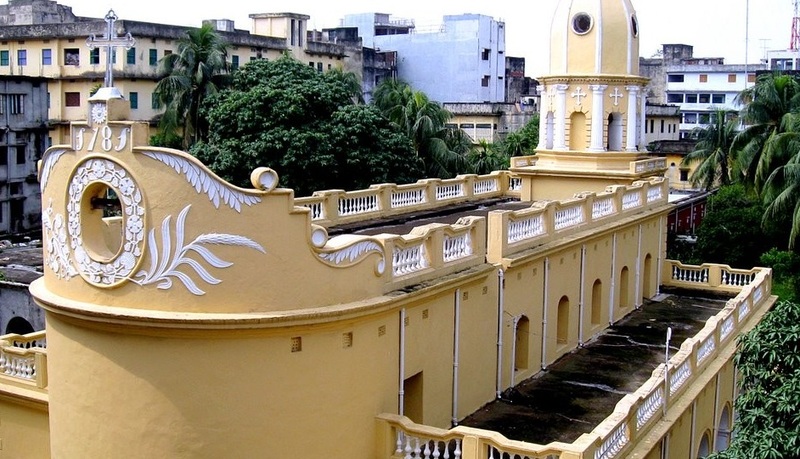 Lalbagh Fort was built by Subadar Azam Shah in 1678 to protect Dhaka city from outsiders attack. After him, Shaista Khan came to rule but after the death of his daughter Pori Bibi the construction work of this fort remain incomplete. Still it is one of the best architectural example of Mughal Era. Star Mosque has ornate designs and is decorated with motifs of blue stars. It was built in the first half of the 19th century by Mirza Golam Pir. 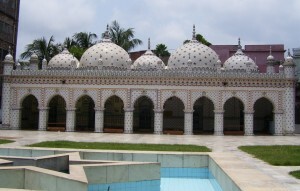 It is a five domed structure and a must watch place among the mosques of Dhaka City. Armenian Church was build in 1781 on Armenian Street in Armanitola. The site was an American graveyard just before the church has being built. The main church remain locked during the year. It is said that once in a January, the church remains open for a day for a prayer. However, people who visits that place finds peace and tranquility in this place. Ahsan Manjil was the official residential and seat of the Dhaka Nawab Family. This magnificent building is situated at Kumartoli along the banks of the Buriganga River in Dhaka, Bangladesh. The construction of this palace was started in 1859 and completed in 1872. It was constructed in the Indo-Saracenic Revival architecture. It is now a designated national museum. 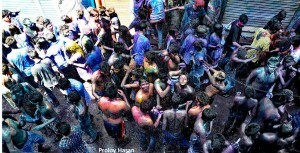 Shakhari Bazar: It is often mentioned as the Hindu street. You will see sweet shops around the roadside. Different Hindu idols are made and being sold in here. 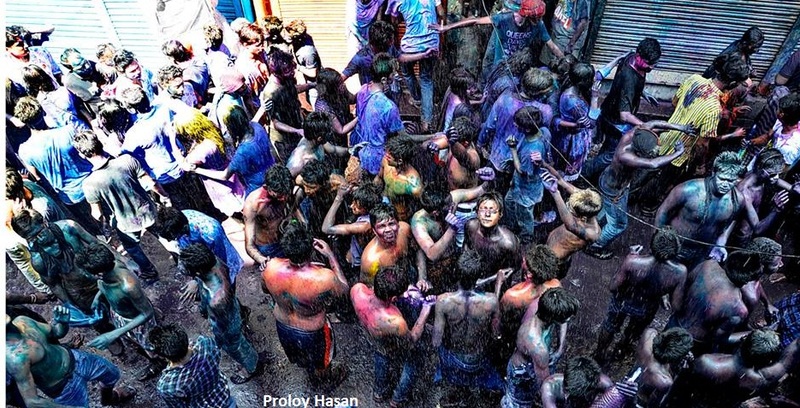 There are several temples in the Hindu Street too. Two of the most remarkable are Sri Sri Jagannath Mondir and Sri Sri Shani Dev Mondir.